Move to the mountains, if only for a day. Join us and discover why altitude matters. Brisk mountain air challenges the vine and imparts a vitality to the wine that compliments life at elevation. 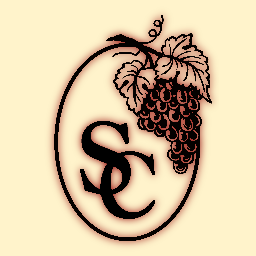 At Stone Cottage Cellars, our family crafts wine from grapes grown at some of the highest elevations in the world. With technique drawn from the old world and vineyards firmly in the terroir of the new, we create expressive, food-friendly wines to enliven and entertain. A visit to our tasting room recalls the ageless stone structures of old Europe. Over the past 20 years, the Helleckson family has lovingly constructed a farmstead and winery out of fieldstone cleared from the vineyards as they were planted. With your back against a stone wall, your feet in the grass and a glass of wine in your hand, drink in the vista of the towering West Elks peaks just off the edge of the mesa. Wander through the vineyard and taste Gewurztraminer from 30 year old vines. Should you decide to extend your mountain respite, join us for one of our occasional winemaker’s dinners. Wine is meant to pair with food and local wine pairs best with local food. Our home in the North Fork Valley boasts a concentration of some of the finest organic farms in the mountain west and provides the inspiration and ingredients for our farm-to-table feasts. Sit down to table with us and explore how good food and good wine, well paired, in good company create something more than either alone. The draw of the mountain vineyard is strong and may not be satisfied in a single day or night. In the tradition of the Italian “agritourismo,” immerse yourself in the vineyard life with a stay in the stone cottage. The first building created on the farm and the cask that held our young family as it matured, is available for lengthier visits. Launch your own expedition into the nearby mountain canyons and peaks. Wonder at the closeness of the Milky Way at night. Trace the dark side of the crescent moon. Pick your evening meal from the vegetable garden out back. Or just feel the gentle rhythm of farm life. Join us and discover the soul of the mountains, crafted by family. From Paonia take Highway 133 East one mile, turn left at Stone Cottage Cellars sign onto Garvin Mesa Road, take Garvin Mesa Road one mile on to the top of the Mesa, turn left at Reds Road and left to the winery. Open 11-6 pm daily, Memorial Day through October. Also by Appointment.